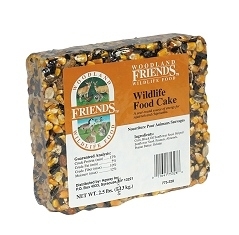 Woodland Friends Wildlife Food Cake is a year-round source of energy for squirrels and chipmunks. 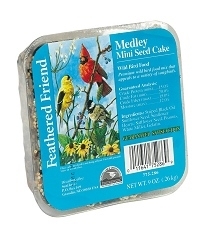 Place cake into feeder and hang. 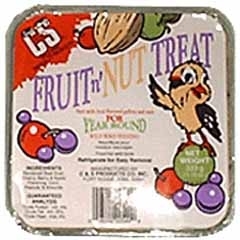 Ingredients include corn, black oil sunflower seed, striped sunflower seed, peanuts, almonds, peanut butter, gelatin. 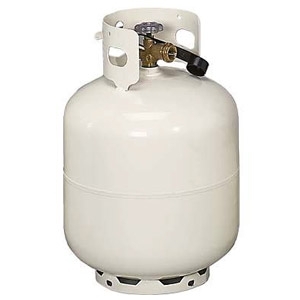 Size is 2.5 lb. 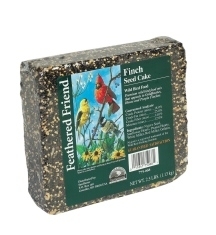 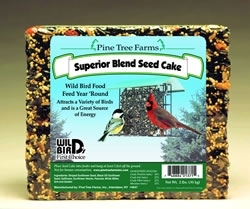 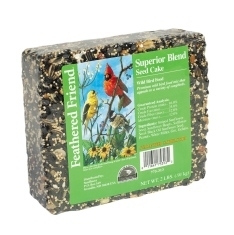 This cake is made with finest millet safflower, sunflower hearts, black oil and striped sunflower seeds and peanuts, plus grit that is needed for healthy birds. 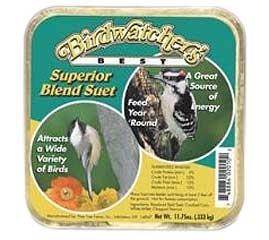 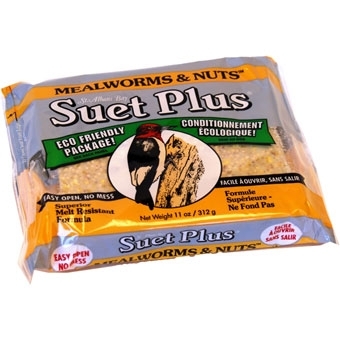 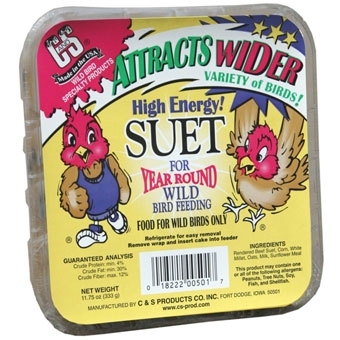 This mixture of suet and wholesome grains attracts numerous birds for year round feeding of this high energy product. 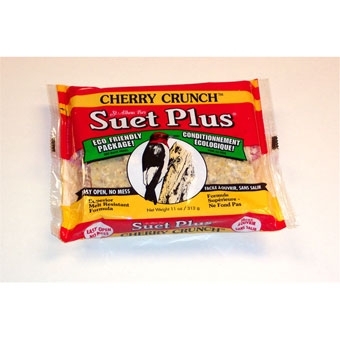 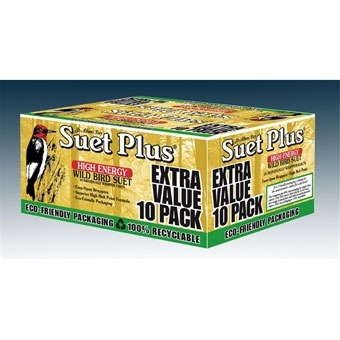 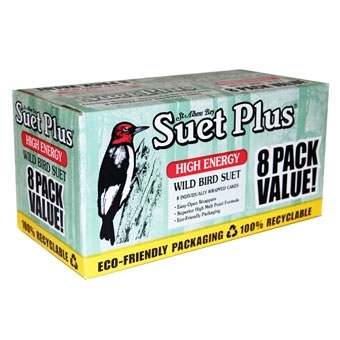 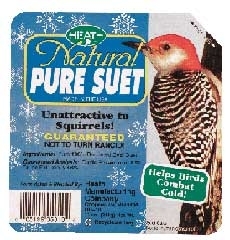 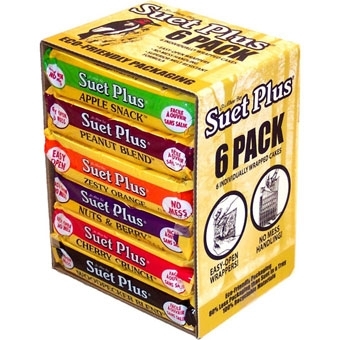 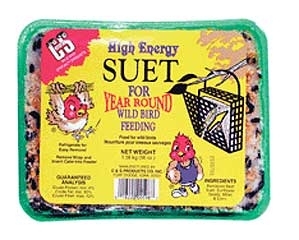 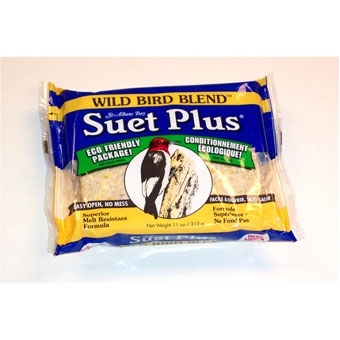 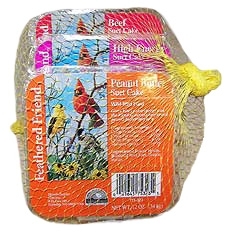 Suet Plus High Energy Wild Bird Suet Cakes 8 Pk Value! 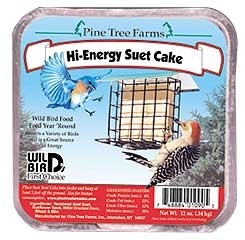 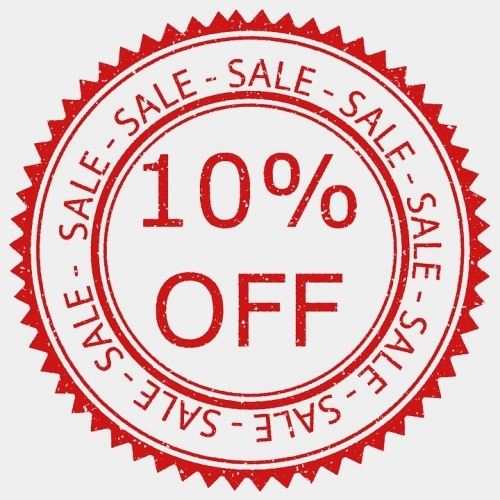 Attractive multi-pack contains 8 High Energy Suet Plus cakes. 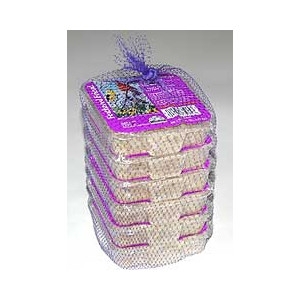 Excellent price point item. 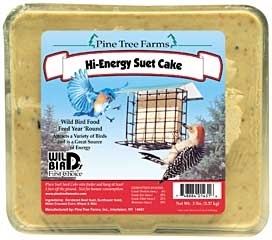 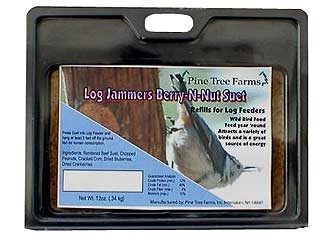 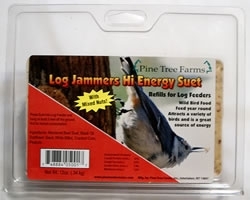 Pine Tree Farms Seed Cake Suet is rendered beef kidney fat that has been refined for year round feeding. 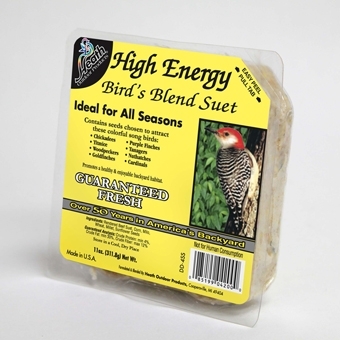 Top quality seeds and grains, including sunflower seeds, white millet, cracked corn, peanuts and cashews, are used to attract a large variety of wild birds. 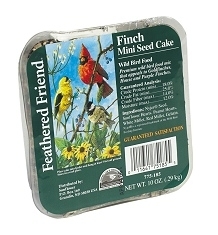 Conveniently sold in 12 ounce cakes.